Summary: Researchers report an elevated risk of death in Alzheimer’s patients who use benzodiazapines. Source: University of Eastern Finland. Benzodiazepine and related drug use is associated with a 40 per cent increase in mortality among persons with Alzheimer’s disease, according to a new study from the University of Eastern Finland. The findings were published in the International Journal of Geriatric Psychiatry. The study found that the risk of death was increased right from the initiation of benzodiazepine and related drug use. The increased risk of death may result from the adverse events of these drugs, including fall-related injuries, such as hip fractures, as well as pneumonia and stroke. The study was based on the register-based MEDALZ (Medication Use and Alzheimer’s Disease) cohort, which includes all persons diagnosed with Alzheimer’s disease in Finland during 2005-2011. Persons who had used benzodiazepines and related drugs previously were excluded from this study, and therefore, the study population consisted of 10,380 new users of these drugs. They were compared with 20,760 persons who did not use these drugs. Although several treatment guidelines state that non-pharmacological options are the first-line treatment of anxiety, agitation and insomnia in persons with dementia, benzodiazepines and related drugs are frequently used in the treatment of these symptoms. If benzodiazepine and related drug use is necessary, these drugs are recommended for short-term use only. These new results encourage more consideration for benzodiazepine and related drug use in persons with dementia. Image Source: NeuroscienceNews.com image is credited to Singer et al., JNeurosci (2017). University of Eastern Finland “Benzodiazepines Increase Mortality in Persons with Alzheimer’s Disease.” NeuroscienceNews. NeuroscienceNews, 20 November 2017. 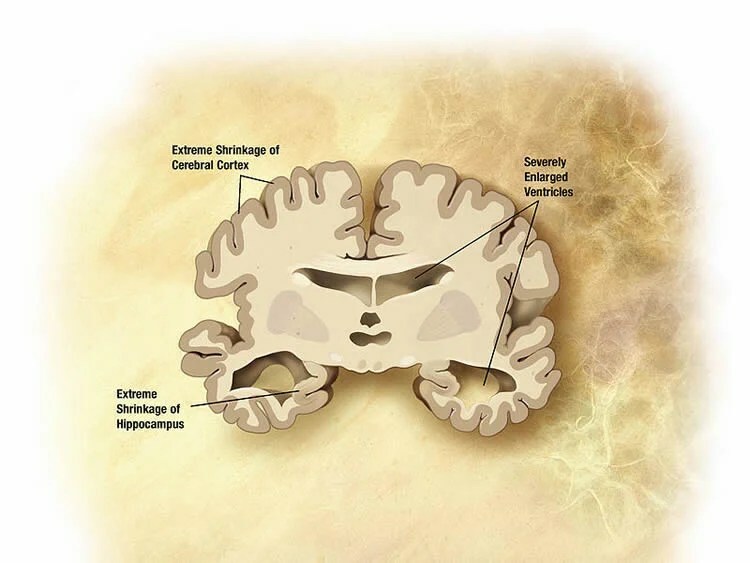 To investigate the risk of death associated with new benzodiazepine and related drug (BZDR) use in a nationwide cohort of persons with Alzheimer disease (AD). The register-based MEDALZ cohort, including all community-dwelling Finns diagnosed with AD during 2005 to 2011 (n = 70 718), was used. Clinically verified AD diagnoses were obtained from the Special Reimbursement Register. Drug use periods were modeled from BZDR purchases, derived from the Prescription Register. To study new users, persons who had any BZDR use during the year preceding the AD diagnosis were excluded. For each person initiating BZDR use (n = 10 380), 2 nonusers (n = 20 760) were matched on age, gender, and time since AD diagnosis. The outcome was 180-day mortality, and BZDR use was compared with nonuse with Cox regression. Multivariable analyses were adjusted for Charlson comorbidity index, socioeconomic position, hip fractures, psychiatric disorders, substance abuse, stroke, and other psychotropic drug use. During the follow-up, 5 excess deaths per 100 person-years occurred during BZDR use in comparison to nonuse, and mortality rates were 13.4 (95% confidence interval [CI], 12.2-14.5) and 8.5 (95% CI, 7.9-9.1), respectively. Benzodiazepine and related drug use was associated with an increased risk of death (adjusted hazard ratio = 1.4 [95% CI, 1.2-1.6]), and the association was significant from the initiation of use. Benzodiazepine use was associated with an increased risk of death, whereas benzodiazepine-related drug use was not. Benzodiazepine and related drug use was associated with an increased risk of death in persons with AD. Our results support treatment guidelines stating that nonpharmacological approaches should be the first-line option for symptomatic treatment of AD.